In Sierra Leone's latest situation report from the World Health Organization, the number of weekly confirmed cases is decreasing. However, transmission remains intense in the capital, Freetown, Port Loko District, and Western Area Rural. But Bonthe District has not had a confirmed case in over 21 days. 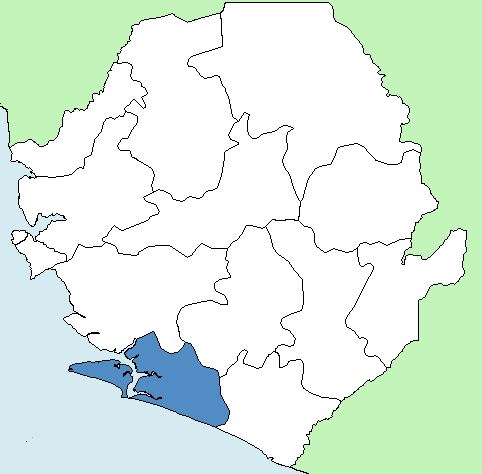 Bonthe district comprises several islands and mainland of the Atlantic Ocean in the southern province of Sierra Leone. Its capital is the town of Mattru Jong and its largest city is Bonthe, on Sherbro Island. 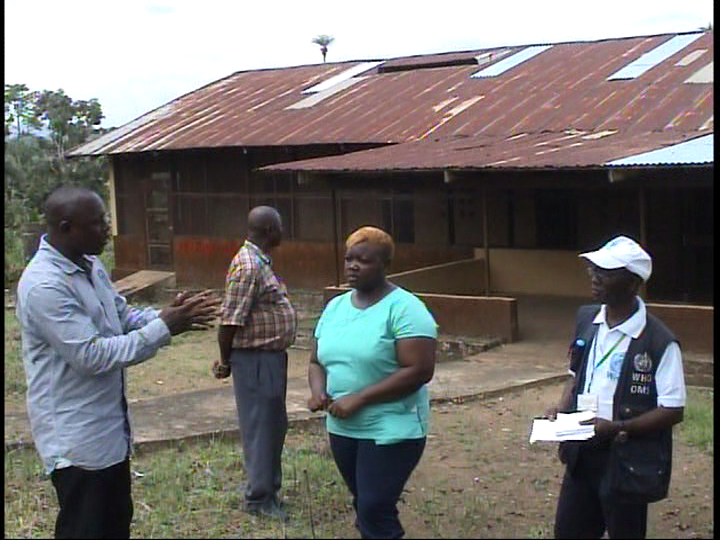 Alpha B. Barrie reports on a visit to the Ebola holding center in Mattru Jong by a team from the nation's Attitudinal and Behavioral Change Secretariat. The center in Mattru Jong has been housing suspected Ebola patients on Bonthe’s mainland. Freetown, Sierra Leone--Dr. Ivan Ajibola Thomas, executive director for Sierra Leone's Attitudinal and Behavioral Change (ABC) Secretariat, congratulated Bonthe district for their efforts and stressed that the fight against Ebola calls for preparation, response, and prompt action. Dr. Thomas explained that the role of the secretariat in the Ebola war is to persuade people to observe the preventive measures that health professionals and international partners have identified. He also stressed compliance to the bye-laws which the local leaders and their communities have instituted for the eradication of the virus. Bonthe District is subdivided into eleven chiefdoms. As of 2012 the district had an estimated population of 140,845. The district is the least populous in Sierra Leone. The Bonthe District Ebola Response Centre coordinator, Mr. Harold Foday Kamara, said that they are working hard to contain the spread of the disease in the district but they lack logistics. "Our two holding centers are not equipped to be considered as Ebola holding centers and I wonder what will happen if we have larger number of cases," Kamara said. He also asked the National Ebola Response Centre not to disregard the district because of its low number of cases. Bonthe district has not had a confirmed case in over 21 days, the World Health Organization said last week. The WHO also says four new Ebola treatment centers opened this January, increasing Sierra Leone’s capacity to over 1,200 treatment beds and 437 community care center beds, which is more than six times the number of current cases. Despite this, the WHO estimate that around 500 more treatment beds and over 750 additional community center beds are needed. Mr. Peter Lansana, logisitics officer for Bonthe District Ebola Response Centre, told the ABC team that the district did not have storage facilities for drugs. "We are storing 'Free Health Care' and Ebola drugs in the same place, plus food and provision for quarantined homes," he said. The district logistics officer for the United Nations Children's Emergency Fund (UNICEF), Mr. Emmanuel Bernard, reiterated that exposing drugs to sunlight and storing 'Free Medical Care' and Ebola drugs in the same place is not the best practice for drug protection, and the storage of items particularly food with ingredients such as peanuts may attract rodents. Mr. Lansana also said that the district has only two vehicles for their operations, and no ambulance to transport patients. He disclosed that they will use up almost a drum of fuel (144 gallons) if they want to cross the sea to attend to calls relating to Ebola cases. The district nutritionist, Mrs. Mary Koroma, also noted the lack of vehicles and speedboats to transport food to quarantined homes and the holding centers. She hoped that Ebola did not spread across the island because it will be difficult to respond. She added that the district did not have a paid cook for workers and patients at the holding center and called for staff to assist in food distribution. Paramount Chief (P.C.) Alhaji Alie Sheriff of Jong Chiefdom, Bonthe District commended the efforts of President Ernest Bai Koroma and the government for its strides in the fight against Ebola, noting that the president has shown concern for his people by moving from one district to another educating the people about the need to eradicate Ebola in Sierra Leone. He also commended medical personnel and non-governmental organizations such as World Vision, Red Cross and others for their financial and professional support in trying to curtail the spread of the epidemic. He also said that the holding centers are not well equipped. 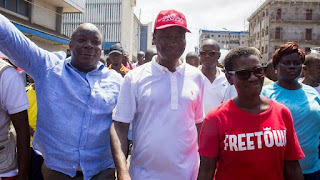 ''I therefore call on the government to ensure that the holding centers are well equipped or else I will recommend the removal of the centers because I don't want them to become dangerous centers for my people,'' he stressed. P.C. 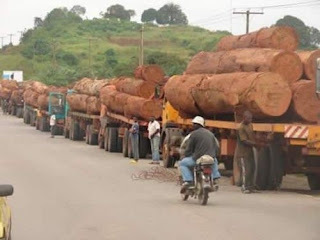 Alie Sheriff said that the government had given him twenty-eight million Leones (about $5,600) to lead the fight in his chiefdom. He explained that he had started holding meetings with his section chiefs and other community members on how the money should be used, and that they have formed a taskforce. Bonthe District is subdivided into eleven chiefdoms. As of 2012, the district had an estimated population of 140,845. The district is the least populous in Sierra Leone. Speaking to the secretariat, Matron Naomi Makieu at the United Methodist Church Hospital said that the center did not have the required facilities of a holding center. ''If this holding center is well equipped we will turn it to a treatment center because we have well trained staff,'' she said. The World Health Organization (WHO) representative for the district, Dr. Francis Smart, noted that the district is able to contain the spread of the Ebola virus because of community participation and their robust surveillance team. The head of Social Pillar, Mr. Charles R. Lissa, explained that they have an active surveillance team that respond promptly to every alert. "What we always do is trace the movements of Ebola cases and carry out immediate quarantine," he said and cited a case where they quarantined twenty-eight households of one hundred and forty-two people after a single Ebola case. He said that this quarantine model has been one of the key factors for their success in containing the disease in the district. The Social Pillar includes the Ministry of Health, World Health Organization, and Statistics Sierra Leone as United Nations Population Fund's key Implementing partner on population data management. The Pillar has undertaken the training of 28 Western Area District surveillance officers and national data managers on the use of global positioning system devices. Susan Tucker, the nursing sister representing the Bonthe District Medical Health Officer, noted that when the first Ebola case was reported in Bonthe they were not trained on how they should protect themselves from the virus when treating patients. Now, with the help of the Ministry of Health and Sanitation and UNICEF, the nurses and doctors of Bonthe can treat Ebola patients safely.